Spring is almost…. well… somewhere around the corner. And before long, your time will be filled with backyard barbeques and late summer nights outdoors with family and friends. 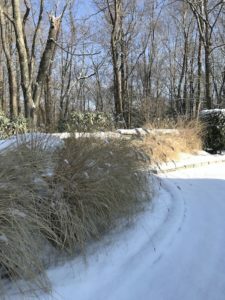 For many homeowners, a new or renovated patio is at the top of their wish list and winter is the perfect time to plan if you want to use your new hardscape this season. How do you think you will use the space? Will you be dining with family or entertaining a crowd – maybe a little of both? Knowing this will help you prioritize features. An area for a dining table and a second area for comfortable seating would accomplish both things. The addition of a fire pit or fireplace would create a focal point for relaxed gatherings. Make a list of everything that you want in your new or renovated patio starting with the ‘must-have’ features and prioritize all the other elements including the very extravagant. Even if they don’t make it in the initial build, it’s nice to have a plan for where you might add these features as time goes on. And don’t overlook the old adage, ‘location, location, location.’ It may make sense right outside the back door if dining is the main focus. But if chilling out by a fire is what you’re thinking, then perhaps in a quiet out of the way corner of your property. Keep in mind that permits are often required, so be sure to ask about this when you meet with your landscape contractor. Which materials catch your eye? 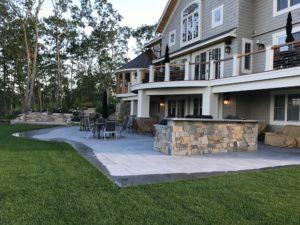 Bluestone is one of the most popular materials used for patios in our area. It is strong and versatile and holds up well in our climate. 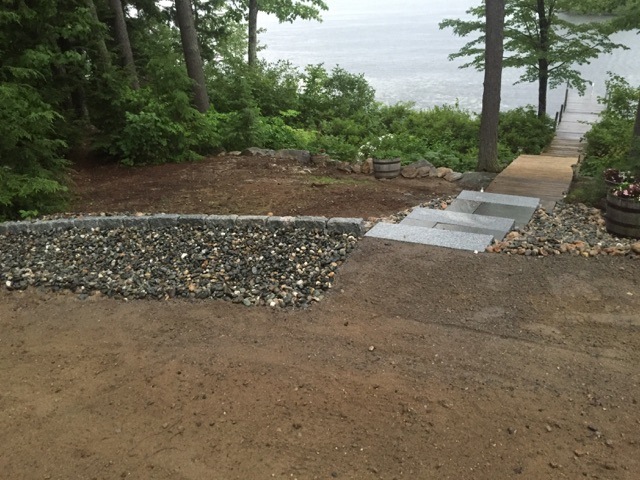 Pavers, once very limited in size, shape and color, have come a long way and really allow the designer to personalize the patio to match the surrounding landscape. Permeable concrete pavers are similar to traditional concrete pavers. Permeable pavers are individual concrete pieces that fit together in a pattern. The difference between permeable pavers and traditional pavers is that the spaces between each paver, known as the joints, are designed to allow water to flow through them. The base that the paver system is built on is made up of layers of clean crushed stone that varies in size and depth, depending on the site and volume of water. These pavers are well suited for patios and walkways. They come in a wide variety of colors, patterns & textures. The benefit of using permeable pavers is that because they allow water to percolate through them they do not count against your impervious surface total, which can be highly regulated, especially on lakefront properties here in the lakes region of New Hampshire. In fact, utilizing a permeable paver system can actually reduce the overall impervious percentage on your site. What is your budget? There are many things to consider in a budget. Material costs vary enormously. In general, natural stone is more expensive. Bricks and concrete pavers can be less expensive, depending on how complex the design or material options you choose. The addition of walls, walkways, steps and outdoor kitchens can dramatically increase the cost of the project. What’s your timeline? Any well-thought out project takes time. There are several phases that must be planned and coordinated. From demolition to material reuse to maintenance down the road, there are many facets to address in the overall hardscape plan. Spend some time on design websites such as Pinterest or Houzz. 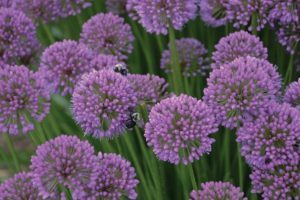 There are lots of great garden magazines as well. The possibilities are endless and you are sure to see something that will inspire you. The Miracle Farms design-build process makes every customer a part of the team. When dreaming of your backyard patio design you are limited only by your imagination. Together, with the help of our talented team, we will create the perfect outdoor living space for your family to enjoy all season long while also boosting the value of your home. So don’t wait – there’s no time like the present to give us a call and start planning your patio project. A Happy Customer That We are Happy to Have! 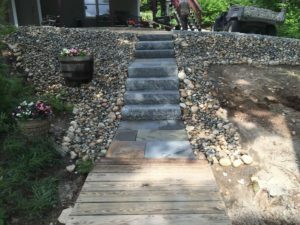 We would like to compliment Miracle Farms for the fantastic job they did in designing and building a bluestone walkway and stairs from our house to the water, and underneath a large deck, creating a patio. Drainage issues were a concern and were carefully considered and accounted for. What was most impressive, however, was the implementation of the design. The employees consistently showed up earlier every morning, worked continually until leaving at the end of the work day for approximately a month. (It was a big project.) Aside from a lunch-time break, we never saw anyone disengaged. After each day’s work, before leaving, the grounds were cleared of debris and materials re-organized for the next day’s work. 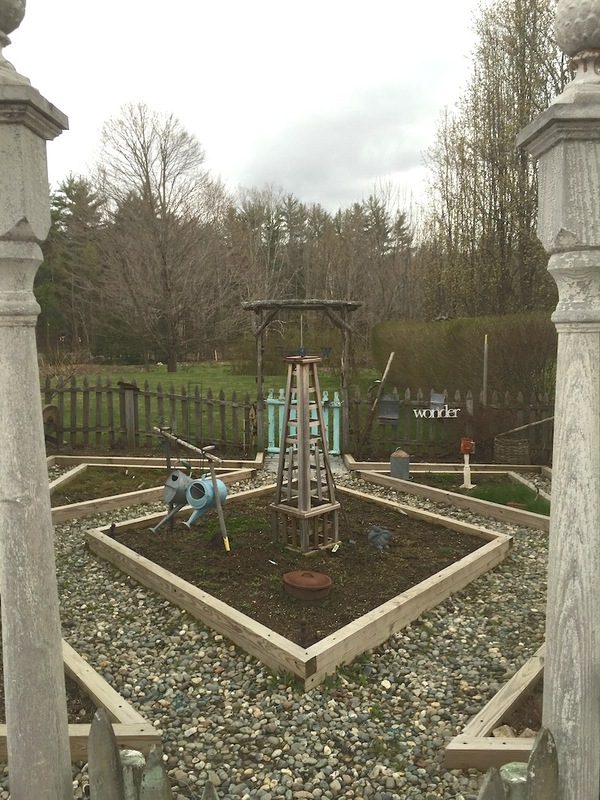 Miracle Farms also cares for our lawn and looks after our house and dock during the winter. They have provided excellent service. They are responsive to any queries we have made regarding any concerns we have had. We are really pleased with the quality of work and care they provide. The first question to ask yourself is, “Do I build raised beds, or plant directly in the ground? Depending on where you live, soil conditions, sunlight, cost and time involved, your answers may vary. Let’s take a look at some of these factors to help you decide. 1. 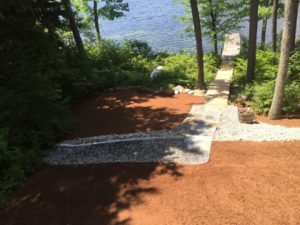 If the soil where you were hoping to plant is hard-packed, sandy, or rocky then there would be an advantage to building a raised bed and filling it with a healthy mix of topsoil and compost. Of course the cost of materials and the construction time may be enough to make you dig a little harder and amend the soil in the ground. 2. The raised height can help to keep pets out of your garden and by putting a layer of wire mesh in the bottom, you will likely deter burrowing critters trying to come in from below. Again, this adds cost to your project. 3. 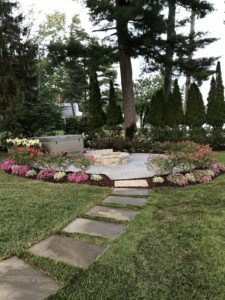 The fresh soil that you would start with should by nature be cleaner and more free of weeds and a raised bed requires no edging to keep grass out. Because of the height, raised beds are generally a bit easier to weed and maintain. 4. 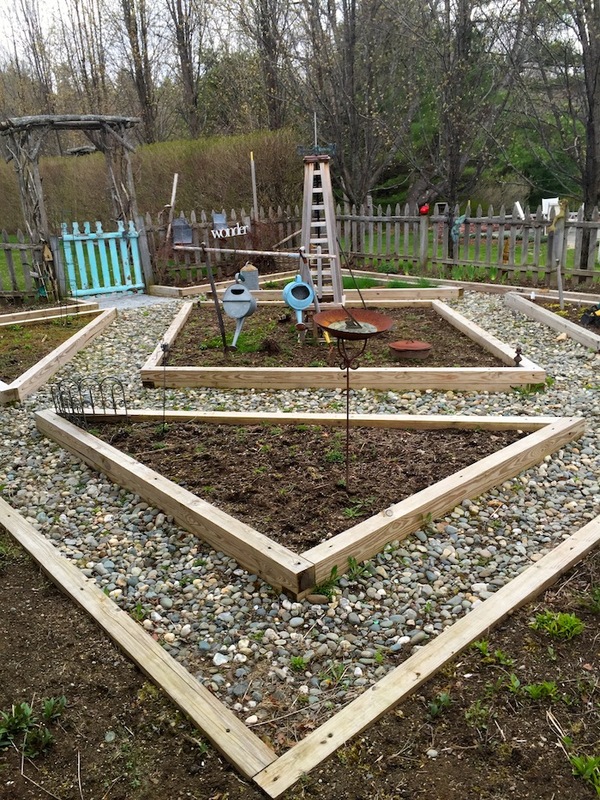 Once you commit to raised beds you can get creative with the design and layout. Check out this article on HOUZZ that details lots of options for materials to use when constructing your raised beds. 5. Time and Cost are a disadvantage. Planning, building and maintaining season after season takes time and financial investment. Even naturally rot-resistant woods such as red cedar and cypress will eventually need replacing and can be difficult to find. Although today’s pressure treated lumber is no longer made with arsenic, many people still prefer to use untreated wood. 6. Soil temperatures in raised beds will warm sooner than soil in the ground so planting can begin a bit earlier. It is also easier to cover raised beds should you fear an early or late season frost.